Michael Edwards has been playing live music in bands across the US and Japan as a guitarist/singer/songwriter for over fifteen years. 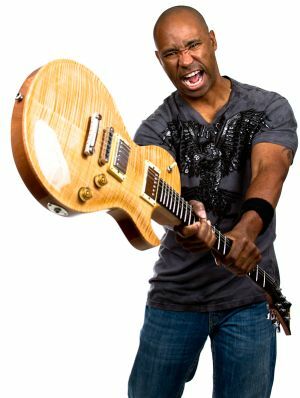 From rocking the Friendship Festival Airshow in Tokyo to lighting up the rock and metal scenes in Fussa City, Okinawa, Georgia, South Dakota, and Florida, playing live has been an integral part of Mike’s background. Recent highlights include stage performances in front of 130,000 spectators at the Yokota Air Base Friendship Festival, performances for the Kotobuki Company Employee’s party, and shows entertaining Air Force personnel on the base. His stage presence and fierce capacity for performance has given him the reputation as one of the most disciplined and hardest working musicians you will ever meet. Most recently, Mike released a single called “You and Me” which he wrote, recorded, and produced for an upcoming compilation album dubbed ECLIPSE. With influences ranging from artists such as Sevendust, Alter Bridge, Zakk Wylde, John Petrucci, and John Mayer, Mike’s music truly sets fire to the soul. In November 2010, Mike was crowned the 1st place winner of the 2010 Yokota Idol singing competition claiming the grand prize of $1,000! Additionally, Mike organized, orchestrated, and performed in an outdoor benefit concert called TOMODACHISTOCK at Yokota Air Base in Tokyo Japan, where his efforts led to the collection of $24,366.20 for the RED CROSS Japan Earthquake and Tsunami relief fund! When off stage and out of the studio, Mike teaches private guitar, bass, and vocal lessons and continues his work on his development as an artist. Mike is currently studying under Tom Hess in the Music Careers Mentoring Program to sharpen his skills and build his credentials as a professional musician. Find out how to get the best music career jobs.